Having a well-organized closet helps us make use of our space in a functional and efficient manner. 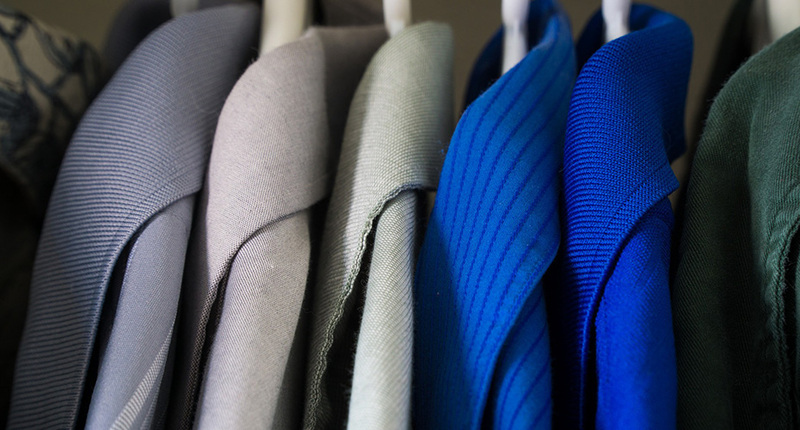 Most often, we forget to have an organizing pattern for the things we keep in our closet. Before we know it, this has led to that pile of clothes on our floor, never seeming to find their place in our closet. But this does not have be the case! Here are some tips and tricks on how you can get your closet organized for good. Always hang your clothing: Clothes always go on the rack. Hang them towards the back of the closet. You can choose to arrange them in any way you feel comfortable. But, it is good practice to hang all the clothes. There are many creative ways to increase storage when you hang clothes. For instance, you can add a set of drawers below the area where you hang shirts and blouses. This allows for optimum utilization of the closet space. Invest in similar hangers: Hangers are not just functional utilities. They also add aesthetic value to your closet. Select a hanger design that you like and invest in them for your entire closet. This will give the closet a clean and unified look. Alternatively, you can choose to match a certain design of hangers with a certain part of the section of your closet – a particular design for your summer clothes and a different one for your winter clothes. Add suitcases to your closet: If you live in a place with clearly changing seasons, it does not make sense to hang all of your clothes out all the time. Only seasonal clothes need to be made accessible. A smart way to store away non-seasonal dress wear can be to invest in beautiful suitcases. A simple and well-designed metal suitcase can also alternate as a table or stool surface that can be used to store other things. Creative use of space: Make creative use of the space that you have in the closet. Hooks can be used to hang handbags. They can also be used as boots or shoe hangers. Hanging shelves made of cloth like material are available for purchase online. They can be used to store shoes or clothes that take up more space (such as sweaters). Any un-used wall space can be converted into jewellery or scarf/muffler hangers just by adding a simple rod. Have a look around your closet space and get as creative as you can. Adding DIY shelves: Adding DIY shelves is one of the easiest ways to get organized. DIY shelves with changeable drawers and baskets can be purchased at any local home shopping store. Explore adding wicker baskets, DIY rods, jute hangers and DIY hangers to your closet. Selected home décor companies allow customers to custom design their closets online on the company website. This is easily delivered to the customer as DIY shelves. This can not only be installed with ease but also moved easily. Use technology: Interesting mobile apps for home décor have been becoming popular recently. There are quite a furniture companies that have applications that customers can use to design their home. This can be used to design your closet space. There is also an application know as Stylebook that allows you to log in all the items in your closet and help plan your outfit easily. De-clutter: And finally, this is the most important, most cliché, yet the most efficient way to keep your closet organized. De-clutter your closet space often. Have a “donate” and “throw away” bag next to your laundry basket at all times. Any time you feel like you are done with something in your closet, assess it and add it to either basket.